The slick tread, 165g, 700x23 P-Zero Velo TT is Pirelli's out-and-out speed tyre, made for road bike racing. To put it in a nutshell, this tyre will make you faster. 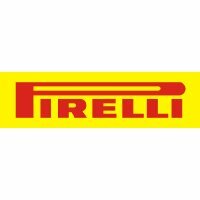 Rather than attempting to create a whole range to cover every type of bike, Pirelli have specialised in the one type of tyre that epitomises their racing heritage - road bike tyres. The fruit of over two years research and development and 100,000 kilometers of real world testing, Pirelli have created a 700c road bike tyre, which has already been highly acclaimed by the cycling press - see bike radar review. It's called the P-Zero Velo. Silica has been a key compound employed by the best tyre brands such as Continental, Schwalbe and Specialized over the past few years. Pirelli have taken this technology to the next level with their Smartnet Silica compound, where the Silica molecules are directional positioned throughout the whole tread of the tyre to reduce heat and rolling resistance and improve wet weather grip. Pirelli P-Zero Velo tyres therefore go a long way towards achieving what were once considered conflicting goals in tyre manufacture - they maximise speed without compromising grip - and vice versa. Add all that Pirelli have learned from their dominance in motorsport tyre design such as 'Ideal Contour Shaping' and you get a tyre that comfortably matches the competition. Extremely light - just 165g!